Perth is Australia’s third hottest city enduring punishing weather conditions all year round. Extreme Marquees supplies Perth residents with high quality gazebos that both protect them from the elements and promote their brand name. Extreme Marquees has been providing Perth businesses, organisations and clubs with pop up gazebos for over a decade. Extreme Marquees works effectively with each individual customer to assure their promotional marquee represents their business accurately and helps their company grow and prosper in the future. With Australia’s largest range of gazebos, Extreme Marquees supplies products to every industry. If you’ve been wondering where to buy gazebos or marquees in Perth, Extreme Marquees has got you covered! Our Perth office is located at 6/50 St Georges Terrace, Perth WA 6000. For all enquiries please contact us on (08) 6103 1888 or contact our Brisbane Head Office on 1300 850 832. One of the many industries Extreme Marquees works with in Perth is local markets. Extreme Marquees has a range of gazebos and marquees for sale for businesses of all industries. Stallholders operate in a very competitive environment with limited space and being surrounded by competitors on all sides. In this situation making a business stand out can be very difficult without a high quality printed marquee. A branded marquee from Extreme Marquees allows a more efficient use of space with advertising on the roof and walls. It also strengthens any branding as a result of the high-quality custom printing available across all of our promotional marquees and gazebos. 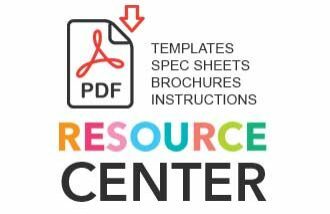 Extreme Marquees has a range of products that are targeted specifically towards local markets. The Extreme Marquees True Blue marquee range is 3x3m portable compact marquee built with a high strength frame and offers low price printing. This range of gazebos is a very popular product within our Perth stallholder clientele. 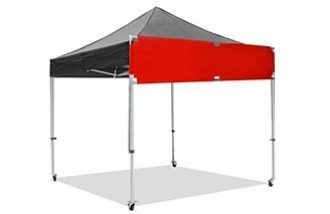 Perth schools and clubs come to Extreme Marquees on a regular basis needing reliable gazebos that provide shade for their events and sports days. Extreme Marquees recognises this industry needs a simple yet reliable product. Extreme Marquees has been selling promotional and commercial gazebos and marquees for over 10 years continually making modifications and improvements over time. This marquee can also be branded very easily with any club, school or house name with our affordable school packages. Producing high quality branded corporate event gazebos has been the cornerstone of Extreme Marquees for over 10 years. 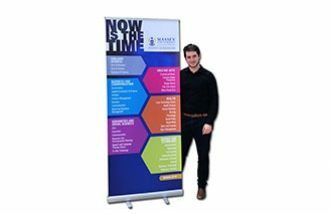 With Australia’s largest range of promotional products, Extreme Marquees has worked with many Perth companies ranging from small start-up companies to multi-national corporations. For companies of all sizes Extreme Marquees always recommends the Summit range and the tectonic range of heavy-duty gazebos and marquees. These folding gazebos and marquees are the highest quality product on the market and are the perfect choice to give any company a strong image. 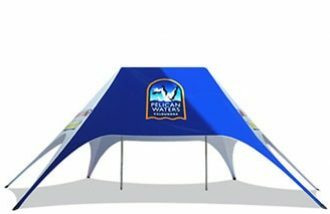 These folding gazebos can be fully custom printed and can be accompanied by promotional banners and signs. Pop up gazebos can be used in a huge range of recreational activities. 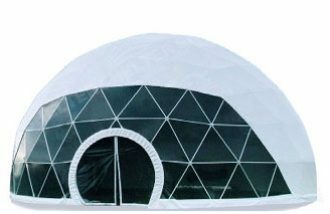 Because of Perth’s intense climate, Extreme Marquees has assured all gazebos are UVF 50+, waterproof and very heavy duty. The True Blue range of pop up gazebos is the most popular choice for recreational use. This marquee is very affordable and is certainly far superior in quality to any competing product on the market.